One of the most popular and envy-inducing retreats in Europe is a glamorous romp in Capri and along the Amalfi Coast. Consider the search for the perfect itinerary done. Fathom founder and Amalfi obsessive, Pavia Rosati, weighs in. AMALFI COAST, Italy – It's probably the travel question I get most often: How do I plan my trip to the Amalfi Coast and Capri? (Followed closely by how do I plan my trip to Italy?) I came to the Sorrentine Peninsula for the first time in 2003 and have returned at least once a year since, often luring friends to cross the globe to join me. Which has given me a pretty good sense of how to navigate this part of the world. I've sketched this out as a two-week itinerary, but you could easily compress it into one by spending fewer days in Capri and skipping Amalfi/Ravello or the Sorrentine Peninsula. Just don't get hung up on trying to plan the perfect trip. This part of the world is so magical, the people are so lovely, the food is so incredible, and the views are so mind-blowing that whatever you do will be so special that you'll be convinced yours was the best trip ever. Want to get even more excited? Peruse our collection of personal stories, itineraries, and excellent recommendations in our Fathom Guide to Capri and the Amalfi Coast. Start in Capri, and assume the first day will involve a lot of traveling to get here: planes, connecting planes, taxis, ferries. On your first night, find a good spot for an aperitivo with a view of the horizon at sunset and look around. This is why you made the journey. Spend three to five days in Capri and get around to the extremes: Villa Jovis on one end; Monte Solaro on the other. Have a long and lazy lunch at the best beach clubs, La Fontelina near the Faraglioni rocks and Il Riccio on the other side of the island near the lighthouse. Hire a boat and spend an afternoon on the water, exploring the various coves and grottoes (the best are on the Marina Piccola side). Debate who makes the best pizza. Stroll through the center of Capri town and marvel at how so many designer boutiques can fit on such tiny streets. Want more travel expertise like this? Subscribe the Fathom newsletter, and we'll deliver the world to your inbox. Sign up now, and access our popular downloadable guide: 50 Insider Tips to Be a Better Traveler. 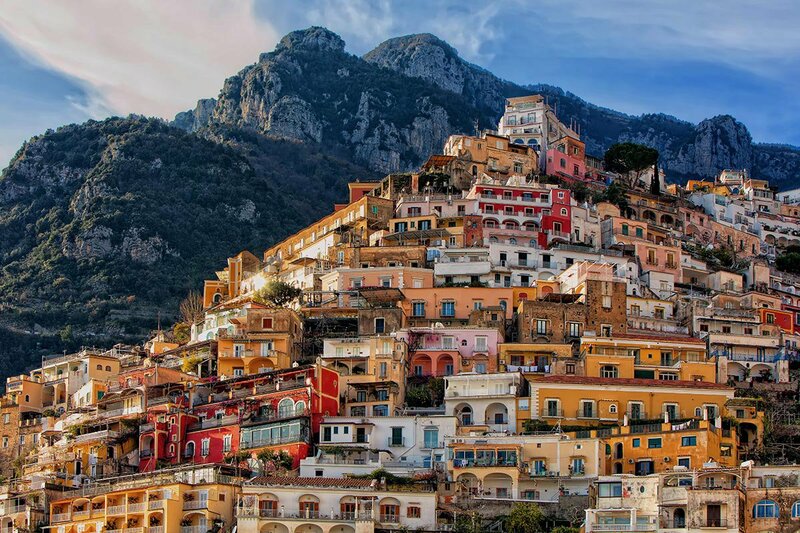 Head to Amalfi on the mainland and spend a day and night exploring hilltop Ravello and seaside Amalfi. Attend an outdoor concert in Ravello, a big classical musical town. Amalfi's Cathedral of St. Andrew is not to be missed. Make your way north, stopping at the legendary Le Sirenuse in Positano for drinks overlooking the sea, a meal in their poolside restaurant, souvenir Eau D'Italie scents from their amazing Emporio Sirenuse boutique, and a night if you want to splurge. Try to ignore how awfully touristy everything else in Positano is. Spend a day and around Sant' Agata sui Due Golfi on the Sorrentine Peninsula. Have lunch at Lo Scoglio (read more about it on Fathom), take an afternoon walk around the nearby Bay of Ieranto, and go to dinner at Don Alfonso (read more about that, too). Remember how I said I come to the Amalfi Coast once a year? These are the places I stay and eat every time. This will be the best food day of your life. Don't bother with Sorrento. Overrated, touristy, and entirely unnecessary. It's the transportation hub you'll go through to connect to a ferry, a train, or a rental car, and that will be more than enough Sorrento for you. Make your way north, stopping in Pompeii for an afternoon of history and drama. The Italians are doing a lousy job pof preserving the site, but it's still one of those world wonders. Spend your final night in Naples (Pizzeria Brandi for dinner!). Most flights to the United States leave early in the morning, and the airport is just 15 minutes from the city center. If you have a night flight, Naples is a great way to spend a day.